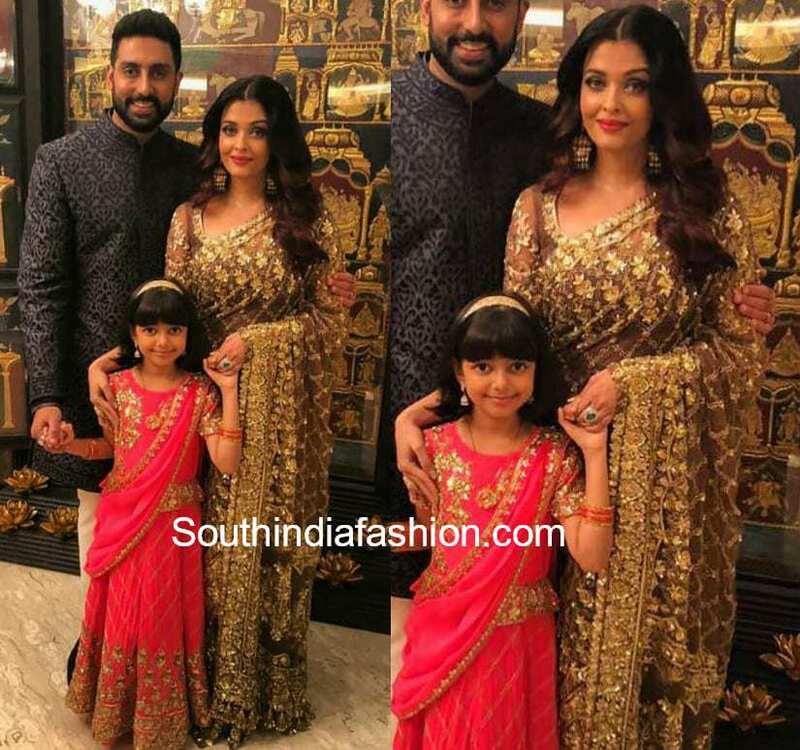 Abhishek, Aishwarya and Aaradhya attended Akash Ambani and Shloka Mehta’s engagement wearing Manish Malhotra outfits. 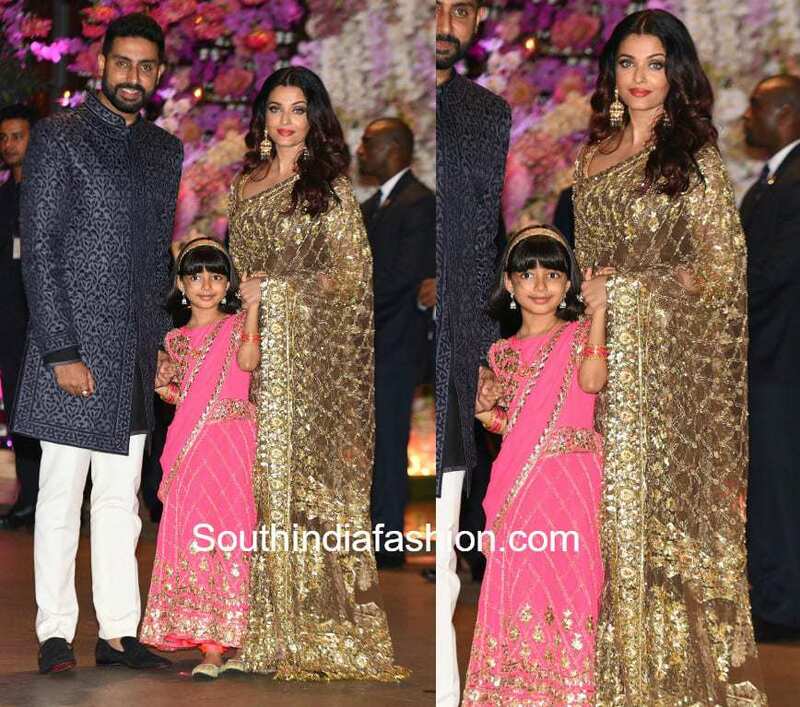 Abhishek wore a black bandhgala suit paired with white trousers while Aishwarya was seen in a heavily embellished gold saree. 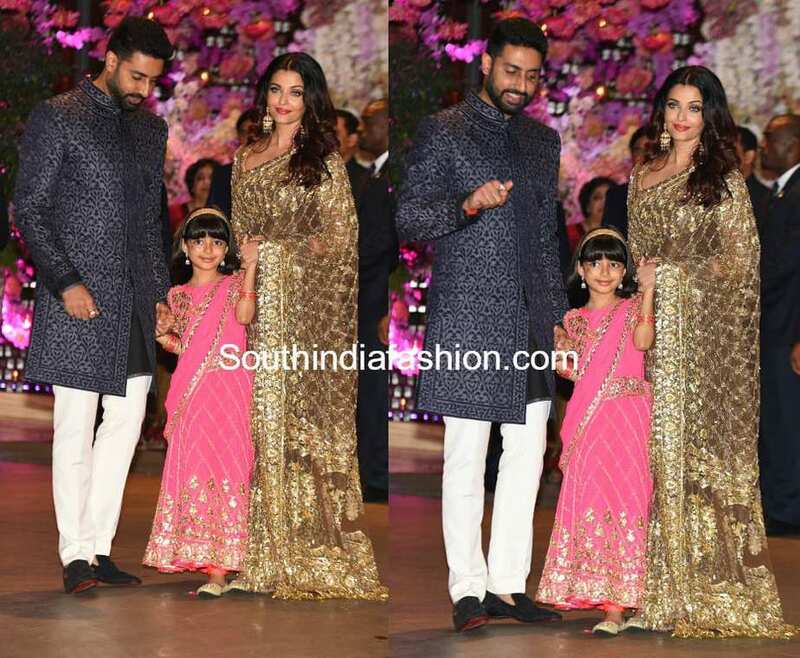 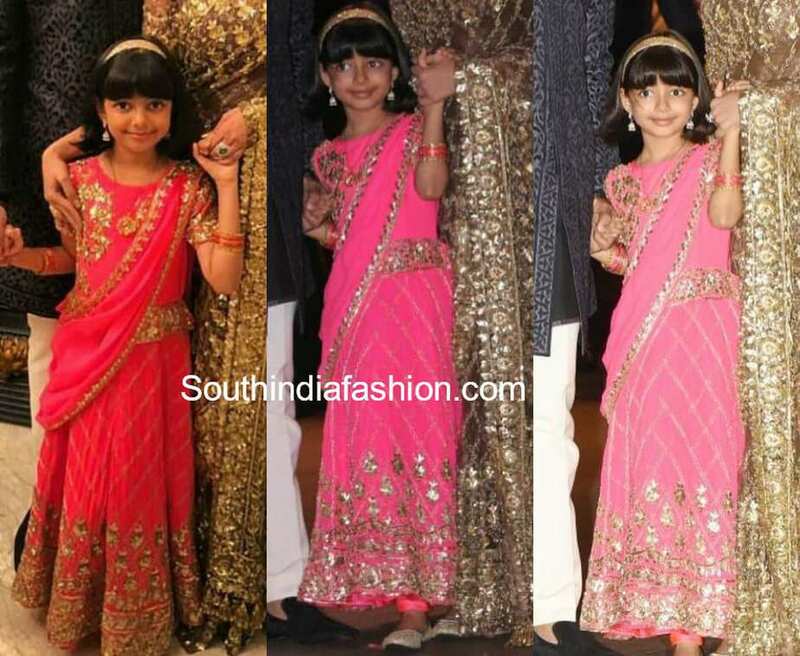 Aaradhya looked cute in a pink lehenga!